Do you have an achy lower back? Stiff shoulders? And your complexion is a little gray? That’s the way you should have started the summer, not ended it. But beaches and fresh air–forget facials–just didn’t fit into the past few hectic months. It sounds like you could use a strong dose of sunshine and some time with a well-trained masseuse. It sounds like you should be heading to Poland. Poland probably wasn’t your first thought for a spa vacation. Much less a beach vacation. But Sopot, on the healing Baltic Sea, has been a spa town since the early 1800s. Combine relaxing treatments with long stretches of white sand and miles of green parks for a perfect end-of-summer getaway. Check into the Mera Spa Hotel. The sunlit, minimal rooms have Scandinavian decor, sea views, and balconies to watch the sun set. If you aren’t lounging by the rooftop pool with a cocktail at the end of the day. Give yourself plenty of time to swim a few laps in the indoor pool, soothe your muscles in the jacuzzi, and open your pores in the sauna before your treatments begin. Candles and soft music set the mood for your Sea Stamps massage with sea salt and dried lavender. Follow it with a Seawater Pearls facial. The algae caviar will help plump your tried-looking skin. An aqua aerobics class is starting when your facial finishes, but that cocktail with a sea breeze sounds even more relaxing. 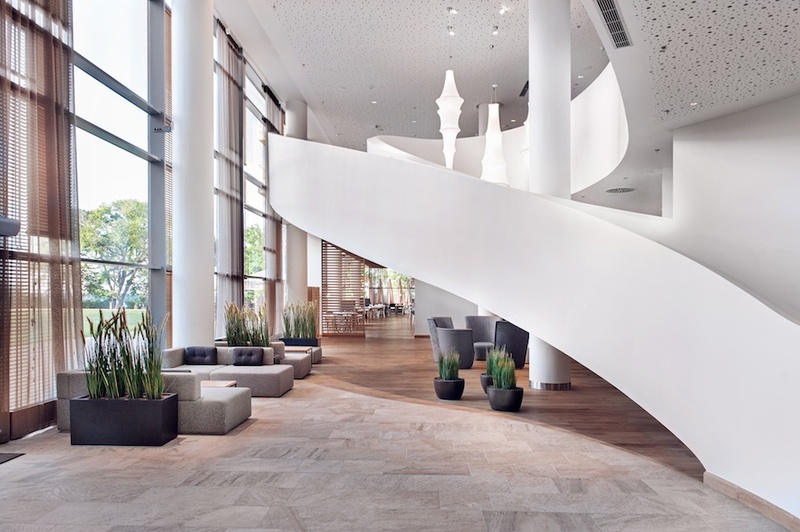 Once you’ve had time to chill out, it’s time to explore charming Sopot. The promenade is lined with Art Nouveau buildings, cafés, and people peddling by on bikes. Walk to the end of the Sopot Pier in the Bay of Gdańsk. 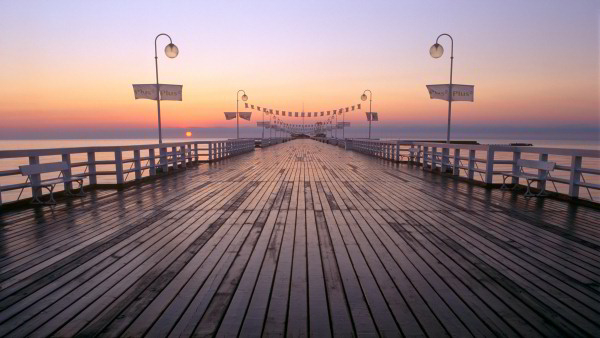 The beautiful wooden pier is the longest pier in Europe. Or jog through the wooded Tricity Landscape Park. Views of the water are never far away. Claim your spot on Sopot Beach. The soft sand is a popular weekend destination. Stand in line at nearby Bar Przystań to place your lunch order for fried fish. Shark and eel might be among the catch of the day. And check the schedule of the Forest Opera. Buy tickets for any performance. The amphitheater has surprisingly good acoustics. If the Forest Opera isn’t part of your evening plans, wander down Monte Cassino Street. The lively street is full of restaurants, bars, artists, and waffle kiosks. It’s impossible to miss Krzywy Domek, a crooked house that has been dubbed “the strangest building in the world.” Browse the shops for handmade jewelry. You may find a gorgeous amber bracelet to bring home. Eat at Cyrano et Roxane near the train station. The all-French wine list will make your mouth water. Finally, you have to decide where to end the evening. A wine bar, a beer garden, or a killer cocktails lounge. A jazz bar or a trendy club–if you’re properly dressed. Sopot isn’t a sleepy little spa town. Just make sure you’re back at Mera in time for your body wrap in the morning.